Elizabeth L. Keathley, Associate Professor of Historical Musicology and Women’s and Gender Studies, is a native of California and earned her MA and PhD in Music, as well as an Advanced Certificate in Women’s Studies, from Stony Brook University in New York. Her dissertation addressed Arnold Schoenberg’s short opera Erwartung (Expectation), composed in 1909 on a libretto by Dr. Marie Pappenheim. Professor Keathley teaches courses in the History of Western Music, Music after 1900, Opera, and World Music for both music majors and non-majors, and freshman seminars in fine arts for Honors students, including Music and Society. She also teaches graduate seminars in the musical cultures of fin-de-siècle Vienna and Paris, and of Spain and Latin America, as well as in music, gender, and sexuality. She is a Faculty Fellow of the Lloyd International Honors College and has earned the UNCG Alumni Teaching Excellence Award. Keathley happily serves on the graduate committees of several bright and industrious graduate students; her students have earned distinctions for their scholarly accomplishments, including awards, scholarships, and publications. In both the United States and Europe, Keathley has published articles and book chapters concerning issues of gender, ethnicity, and “difference” in the music of Arnold Schoenberg and Leonard Bernstein. She has presented scholarly papers at meetings of the American Musicological Society, the Society for American Music, the College Music Society, Feminist Theory and Music, the Society for Textual Scholarship, and Music and the Moving Image, among others, on topics including the music of Alma Mahler, the modernist performances of Marya Freund, Dika Newlin’s influence on Schoenberg reception, the poetry of Christine de Pisan, eco-feminist characteristics of the music of Annea Lockwood and Hildegard Westerkamp, gender and Mexican national identity in música ranchera, and music, gender, and social class in Univision’s telenovelas. Her edition, with Marilyn McCoy, of the correspondence between Alma Mahler and Arnold Schoenberg will soon be published by Oxford University Press. 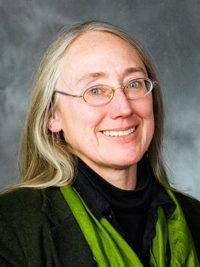 Professor Keathley has earned grants and fellowships from the Women’s and Gender Studies Program of UNCG (Linda Arnold Carlisle Research Award), the American Philosophical Society (Franklin Research Grant), the Avenir Foundation (for research at the Arnold Schoenberg Center in Vienna), and the National Endowment for the Humanities. With the NEH, she is currently completing a book-length study of women in Schoenberg’s musical subculture who influenced the production and reception of musical modernism as librettists, performers, patrons, and writers. Active in university and professional service, Keathley is past President of the Southeast Chapter of the American Musicological Society, a member of the (national) AMS Council, a member of Gender Research in Music Education, the organizer of Feminist Theory and Music 10: Improvising and Galvanizing (UNCG 2009), a member of both UNCG’s Honors Council and the Faculty Senate’s committee on research grants, and the Music Studies Department’s representative to the CVPA Faculty Assembly.